You loved Silent Hill and Alan Wake? Then keep an eye out for Husk, a purebred first-person experience horror game that is inspired by those two cited titles. It's a co-production between IMGN.PRO (creators of Kholat) and young polish studio UndeadScout with music composed by Arkadiusz Reikowski. 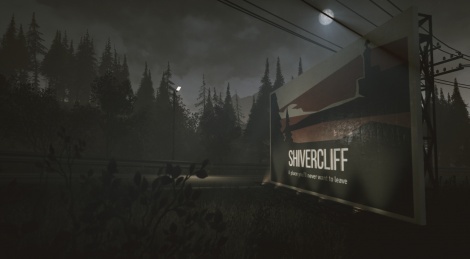 The game welcomes you to Shivercliff, typical American small town and "a place you'll never want to leave" where Matthew Palmer, searching for his family after a train crash will face his inner demons. No release date, no platforms announced yet. Teaser, screens and more details inside. IMGN.PRO and UndeadScout proudly present their new survival horror game - Husk. A Purebread FPP inspired by such titles as Silent Hill or Alan Wake. Husk will take you to a typical, American small town where, along with Matthew Palmer - a father and husband searching for his family after a train crash, you will get to know its everyday life. Shivercliff though is not a perfect picture postcard town. It is a point, in which two worlds, reality and nightmare, collide. On many occasions the hero, will have to fight the evil lingering in the dark corners of the streets for the sake of his survival. Shivercliff is a place hiding secrets you wish you'd never uncovered. Each step further into the town is also a step further into yourself. Deep down, where demons have been lurking and waiting patiently for far too long. "Husk is mostly UndeadScout team's amazing concept. When they approached us with a co-op proposal, we were over the moon. We offered them full support. Now, we are working together and IMGN.PRO is present in the process of the game development on many different levels, including my favorite - the story. In my opinion, after Kholat players can expect the storytelling in Husk to be intriguing and rich in detail, but also more coherent and clear than in the case of our debut game." Husk is a purebred FPP horror inspired by titles like Silent Hill or Alan Wake. The game will not lack fighting, solving mysteries and uncovering the dark and tantalizing plot. Developed by two teams (IMGN.PRO - the developer of Kholat and a publisher) and UndeadScout (for whom Husk is their first, debut title) and with a music score written by Arkadiusz Reikowski. To learn more about the game visit www.welcometoshivercliff.com and the game's Facebook page. Nonononono. That's clearly Alan Wake 2. Nah, it's Silent Hill... you can clearly see the hill. I loved Kholat and this looks very promising, can't wait.